In a pool also featuring India, Pakistan and South Africa, Angelo Mathews admits his team is being seen as an outsider to lift the trophy. 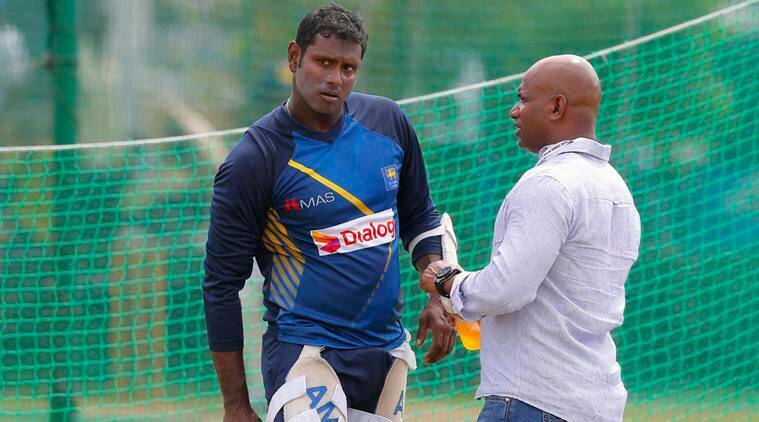 Sri Lanka will embrace the ‘underdog’ tag at the ICC Champions Trophy in England, according to skipper Angelo Mathews. A joint-winner in 2002, Sri Lanka has only reached the semi-final stage once since, getting to the last four in the 2013 edition, also in England. In a pool also featuring India, Pakistan and South Africa, Mathews admits his team is being seen as an outsider to lift the trophy but is confident Sri Lanka has the firepower to make a run at the title. He said: “All the teams are quite even, I think in the past few months we have had a few lapses here and there. Nobody will give us a chance, to be really honest, but we are happy to enter the tournament as underdogs. “We are confident, we have prepared extremely well. In Sri Lanka and England for the past few days, it’s been really good. Hopefully we can play tomorrow’s practice game (against Australia), and get a good practice out of it. “All the teams are quite even but it’s on the given day, the guys who make less mistakes will win. It can be England, it can be us, it can be anyone. Still only 29, Mathews is one of the veteran leaders in the Sri Lanka team, and was part of the side that beat England 3-2 in a one-day international series back in 2014. While the batting line-up has a very different look to it in this tournament, Mathews is confident that Sri Lanka can use that experience to its advantage. He added: “We are a team where we stick to our basics. We’ve played pretty well in England, especially in 2014, so we will try to take a leaf out of it. “We are a pretty young, inexperienced team, but a few of us have played in England. Anyone can change a game at any given stage. We have got the talent, the skill in the team, it’s just that we have to go out there and express ourselves,” he said. The ‘x-factor’ for Sri Lanka could be Lasith Malinga, who is included in the squad and is in line for a first one-day appearance since 2015. Now almost exclusively playing in Twenty20 cricket, Malinga enters the tournament fully fit according to his skipper, who is optimistic the 33-year-old fast bowler can shine in the longer format. Mathews said: “(Malinga) is fully fit. We look forward to utilising him in the matches. He is very keen, he got here a few days back. He’s very keen to get on the park. He hasn’t played 50-over games in the recent past but he has played a lot of games in the IPL which is very intense. Sri Lanka will kick off its campaign against South Africa before the two matches against its sub-continental rivals. And despite a surprise loss to Scotland in a warm-up game, quickly avenged two days later, Mathews believes his side will be ready for English conditions. He added: “It was just a practice game for us, we rested a few players. In an ideal scenario, we would have bowled first but I wanted our batters to bat in those conditions when the wicket is fresh.